Thank You Jack and Gary for posting this. 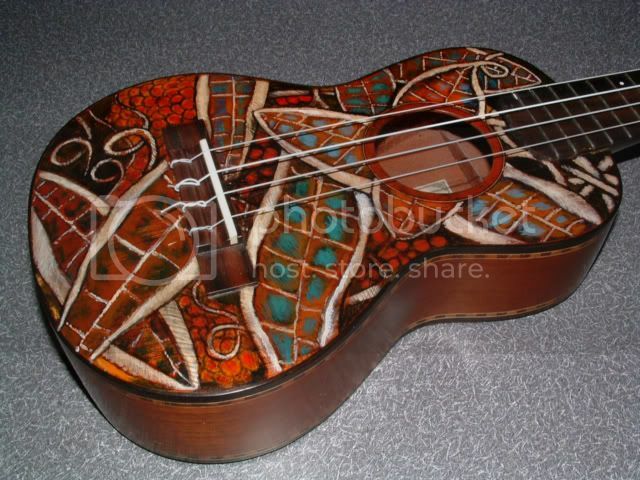 I am a true lover of all stringed instruments and kinda new to Ukes. However, another instrument to obsess over is part of the great fun in life. One technical correction is I've gone to shellac as my medium. Far easier to do and repair and the cost is cut in half. Currently we are revamping the web-site with new lower pricing and pics of more instruments.